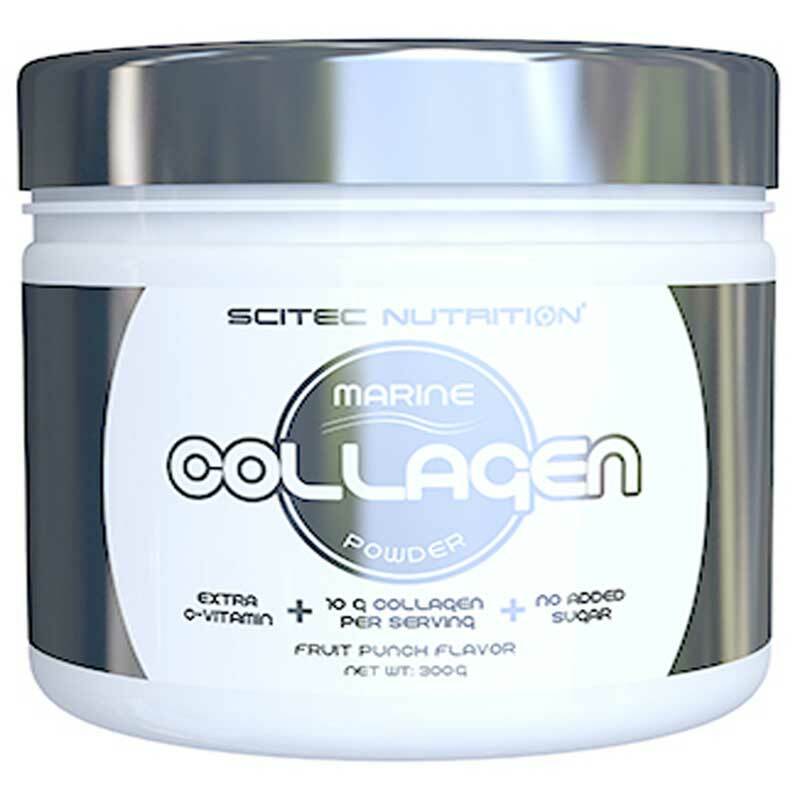 Hydrolyzed marine (fish) collagen, for healthy skin and cartilages. With extra vitamin C & zero sugar. 10 grams of collagen per serving in a fruity flavor combination. Collagens are a group of proteins, which naturally occur in the human body. It has a fibrous structure. 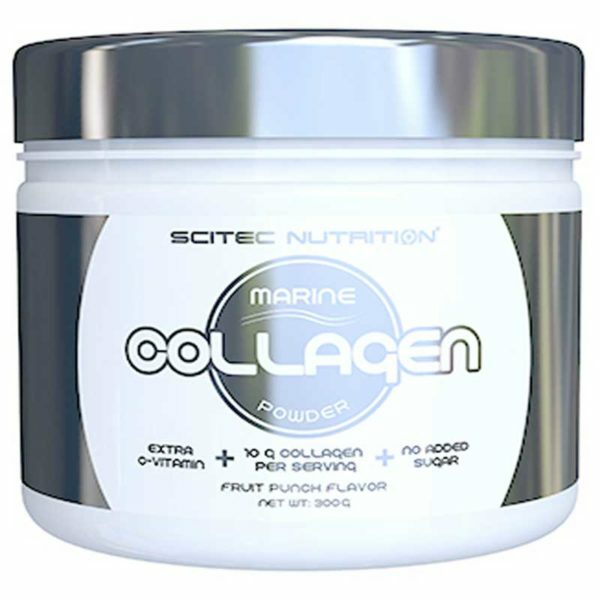 Collagen is an important component of connective tissues like cartilages, tendons, ligaments and skin. It is the most abundant protein in our body. But the production of collagen in human body is decreasing with age. As a result, the structure of the high collagen tissues (like skin, cartilages) will be weaken and lose their elasticity. Size: 300 g = 25 servings. Dissolve 1 serving (12 g) per day in 300 ml of water and take it preferably during the meal. Hydrolyzed marine collagen (from fish), flavors (apricot, melon, apple, kiwi, maracuja, water melon), acidity regulators (malic acid, citric acid anhydrous), L-ascorbic acid, sweetener (aucralose), sodium chloride, colors (ponceau 4R***, brillant blue FCF).